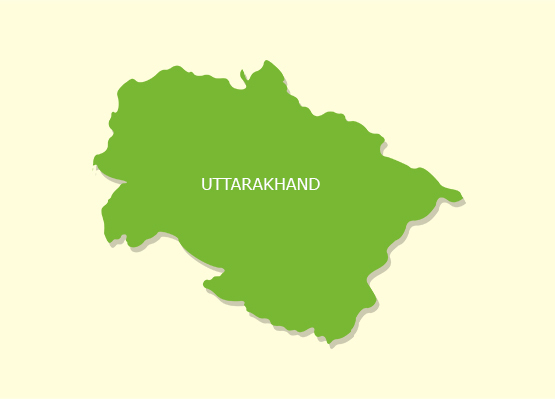 Uttrakhand, a state known for its sweeping panoramas of mist covered mountains, rivers, lakes and glaciers faced the wrath of nature when the calamitous flash floods in the year of 2013 brought the state to a standstill. The catastrophic floods affected 13 districts, killed 5700 people and rendered thousands of people homeless. The district of Rudraprayag reportedly faced the highest devastation in terms of loss of lives and property. Situated at an elevation of 2,936 feet, Rudraprayag is inhabited by over 2.3 lakh people. Named after Lord Shiva, the district is known for its immense natural beauty and for being the point of confluence of the Alaknanda and Mandakini rivers. A popular tourist draw, Rudraprayag was left to ruins by the floods, leaving the health system of the region ineffective, at a time when the inhabitants needed it the most. Scattered and disconnected villages, made the delivery of the available medical resources difficult. The hilly terrains, and devastated roads and infrastructure further exacerbated the situation. Smile Foundation in collaboration with Union Bank of India Social Foundation Trust, has been working to provide the much needed helping hand so that life in the disaster-hit regions can regain its momentum. Launched in April 2014, the project includes conducting health check-up camps in villages and setting up Static Health Clinics. The project delivers free curative, preventive and promotive health services in the flood hit-areas. Active in 23 villages of Block – Ukhimath of Rudraprayag district, the project has around 11,500 direct beneficiaries. The project also includes regular awareness activities to enlighten the village folks with the importance of health and hygiene. These programmes are attended by both men and women. According to a survey by Smile, of the several diseases prevalent in the rural areas, 46% were preventable. This called for strong preventive measures in order to ensure that villagers follow practices that allow them to stay clear of these diseases. Those diagnosed with diseases are provided effective treatment for free. A total of 12 community meetings were conducted that helped 543 beneficiaries in the villages of Rudraprayag district. Operational since 1st April, 2014, static clinic programme is providing free health care services to the community. Static Clinic, Mobile Health Clinic and IEC Activities are the three salient features of the project. 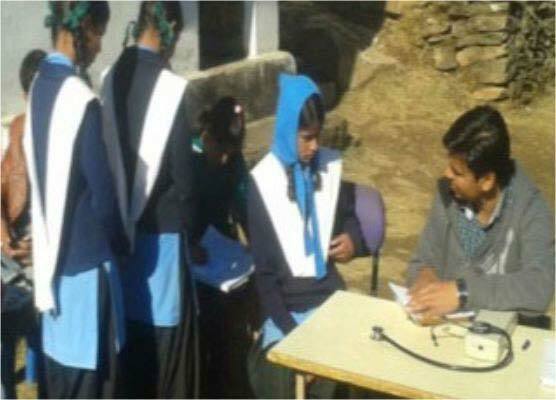 Well-equipped mobile health clinic covers 23 villages spread across 11 Gram Panchayats. Working in direct coordination with District and Block level hospitals, the Static Clinic offers pathological services. Awareness activities on health and hygiene, and nutritious food conducted in several villages that were attended by both men and women in significant numbers. To inculcate better health and hygiene practices among children, school health activities are also conducted on regular basis. 2062 PATHOLOGICAL TESTS WERE CONDUCTED SO FAR.